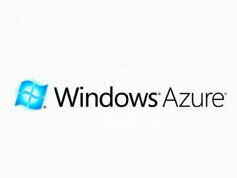 Microsoft has officially confirmed that Windows Azure, the cloud computing platform the Redmond-based software developer showcased this October at the Professional Developers Conference (PDC) 2008, will be launched this November, when the 2009 Professional Developers Conference will debut in Los Angeles. The in-the-cloud OS will initially be marketed in a total of 21 countries, with 16 additional countries to follow a few months after. "Windows Azure, SQL Azure and .NET Services will be commercially available at the Professional Developer Conference 2009 and we hope you will continue building on the Community Technology Preview (CTP) at no cost today. Upon commercial availability we will offer Windows Azure through a consumption-based pricing model, allowing partners and customers to pay only for the services that they consume,” explained the Windows Azure team. The initial 21 countries that Microsoft will target with Windows Azure are: Australia, Austria, Belgium, Canada, Denmark, Finland, France, Germany, Ireland, India, Italy, Japan, Netherlands, New Zealand, Norway, Portugal, Spain, Sweden, Switzerland, UK, and the United States. A few months after, in March 2010 to be more precise, Microsoft will target 16 additional countries with Windows Azure: Brazil, Chile, Colombia, Czech Republic, Greece, Hong Kong, Hungary, Israel, South Korea, Malaysia, Mexico, Poland, Puerto Rico, Romania, Singapore, and Taiwan. Microsoft will charge $0.10 in / $0.15 out / GB for the bandwidth of all three services presented above. In related news, if you would like to be a part of the 2009 PDC but don’t feel like spending your own money to get there, then you should know that there is a solution: you can enter the Code 7 Competition, come up with a brilliant application for Windows 7 and win a free trip and a free ticket to PDC 2009 and up to $17,777 in cash( details here).